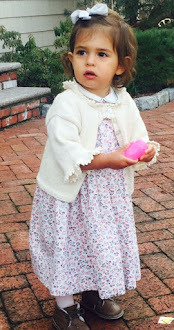 Last week, knitnscribble profiled a super quick free baby blanket pattern by Kay Mather. 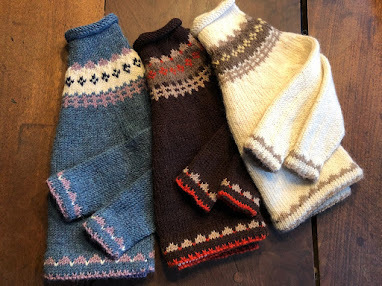 Looking through my favorite baby patterns, came across this little baby hoodie jacket sideways pattern called "Snug," from the plethora of free knitting patterns on Ravelry. With a crochet cast-on, the sweater is knit all in garter stitch, one size, 6 months, using US 10 (6mm) needles and is sure to be a very quick project. 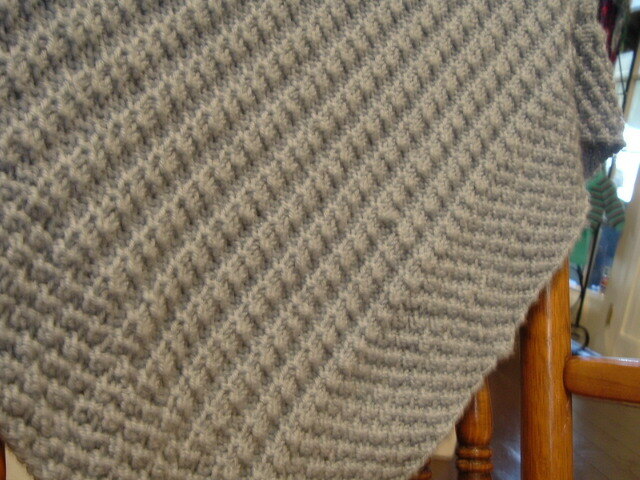 A moss stitch baby blanket pattern from Cascade Yarns. It's a four-stitch knitting pattern, which can easily be enlarged for a throw or afghan project. A free pattern and quickly worked up in Cascade 220 Superwash, Lion Brand's organic cotton or Plymouth Yarn's Encore machine washable on a US 8 (5 mm) needle, suitable for babies year round. All the yarns are available in many different colors. The double moss stitch (K2, P2) baby blanket takes about 3-4 balls of which ever yarn you choose. 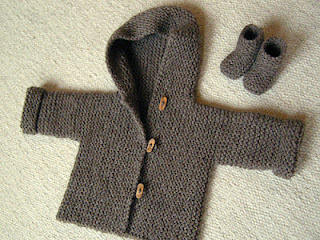 A welcomed baby shower gift or holiday present for new moms, this pattern by Kay Mather.